Paul Werth’s daughter was just a few hours old when the phone rang. 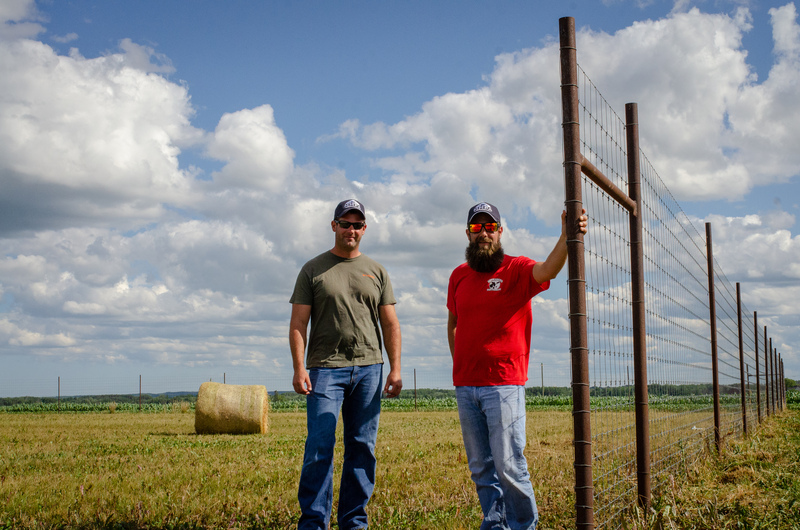 As a part owner of Butterwerth Dairy in Alpena, Michigan, Paul farmed with his brother Jeremy and parents, Larry and Paulette. The great joy of a new member of the family entering the world was interrupted with the news that Bovine Tuberculosis (TB) was found on the farm. Uncertainty hung over the Werths like a storm brewing on the horizon. “It was definitely a day of mixed feelings that I won’t forget,” Paul said. Bovine TB hit Butterwerth Dairy Farm in April 2015. Two years later, the farm was one of six Platinum Award of Achievement winners recognized nationally at the National Mastitis Council (NMC) annual meeting. Rural Development (MDARD) and the USDA. Though most of the State of Michigan is TB-free, there is a small area in the Northern Lower Peninsula that is classified as Modified Accredited Zone or MAZ which means that cattle and bison herds in Montmorency, Alpena, Oscoda and Alcona counties must go through annual testing for TB. “Being told that we had cows with TB was devastating. It was such a shock to us because we felt like we followed the rules. We took precautions but didn’t realize how much it was in the wildlife population because it wasn’t really taught to the community,” said Jeremy. After quarantining the farm, TB infected animals were removed from the herd along with follow-up retesting of the remaining animals. After more animals were found positive with the infectious bacterial disease found in cattle herds and white-tailed deer populations in the MAZ, the Werth family along with the State Veterinarian made the decision that the best option was to depopulate the dairy herd. One of the reasons for the decision was that TB is spread through the exchange of respiratory secretions between infected animals and noninfected animals easily and the possibility of more cows contracting TB would be inevitable. The depopulation of their herd took a month and a half as Larry, Jeremy and Paul along with their wives and children watched each cow they raised and cared for leave the farm. They made the decision to not let this unforeseen occurrence deter them from doing what they loved: milking cows. After thoroughly cleaning the barns, equipment and implements, waiting the 30-day disinfection period, they were able to bring a new herd of cows home. The Werth family (L-R): Amara, Jeremy, Kiera, Paulette, Larry, Parker, Paul, Jennifer, Priya and Paisley. groups of some of their best heifers and young cows at fair prices to help get the Werths back in the parlor. A strictly Jersey herd before depopulation, when it came time to rebuild, the Werths decided to change their herd with Holstein cows as Jersey cows were not available. “Switching to Holsteins from Jerseys was a learning curve. We also decided that purchasing fresh cows rather than springing heifers was worth the extra cost due to not having to worry about as many metabolic calving problems. It seems to be less stress on the cows and us to bring them in after they have calved,” Jeremy said. In addition to purchasing animals, many changes and biosecurity measures were made during the transition from the original herd of Jerseys to the purchased Holstein cows. They installed a deer fence around the perimeter of the farm to keep the white-tailed deer from having contact with the cows as well as sneaking into the feed storage areas. They chose to implement the practice of selling all their calves around one week old and purchase fresh cows as needed rather than raise their own replacement heifers. This allowed them to focus their efforts on the milking cows and better manage their land base to prevent TB from entering the farm again. “Through the whole process of dealing with our original herd being TB positive, a lot of people in our area have come to understand and realize that farmers are trying to do the right thing. Sportsman and farmers have started to really come together to work on trying to control this, which hadn’t happened before,” said Jeremy. Jeremy continued to explain that one good thing to come out of this experience for the community was awareness to the extent of the TB problem in the MAZ. Sportsman, landowners and farmers are starting to work together to minimize the effects that the contagious disease can cause to wildlife and cattle herds. While Butterwerth Dairy before bovine TB cared about producing quality milk, the depopulation meant the Werths hit reset on their operation and came back as a nationally-recognized quality farm. The Werths were named a platinum National Dairy Quality award winner from NMC. The award program honors dairy producers from across the nation who have successfully placed high priority on producing milk of the highest quality. Jeremy Werth demonstrates Butterwerth Dairy’s milking procedure. 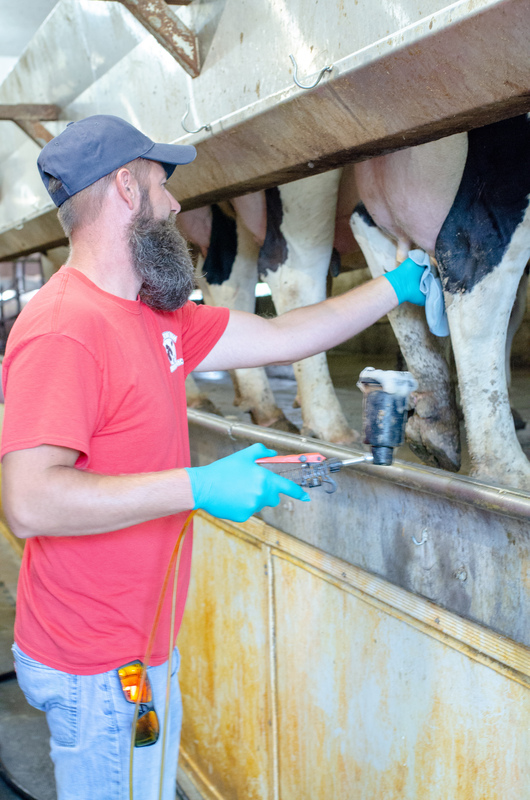 While Butterwerth Dairy was forced to react to the positive TB herd results by ultimately depopulating the Jersey herd, they rebuilt their dairy farm with Holsteins once the farm was cleaned and disinfected. Prevention was key to move past the unfortunate events. More focus was put into excellent milk quality and minimizing the wildlife interactions with their farm. 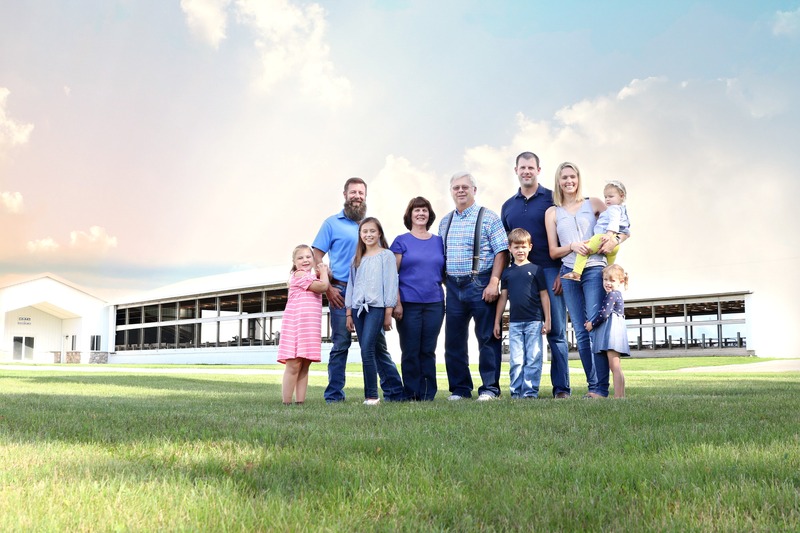 The continued passion for the dairy industry that the family loved, hard work and a little bit of faith shone through as the Werth family not only persevered, but thrived, in the trying two years prior to earning their Platinum Award of Achievement.